Jet set judges prefer life in the air to sitting in Scots courts. IF those of you stuck in Scotland’s “Victorian” courts for years have ever wondered what judges do in their spare time when they are not sitting on the bench or raising an eyebrow at the mutterings of counsel, one of the answers lies above the clouds, in the numbers of air miles Scottish judges clock up each year on a variety of jollies trips allegedly taken to represent the interests of Scotland’s justice system around the world. 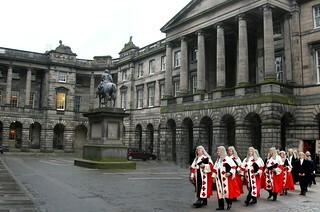 As revealed in the Sunday Mail newspaper earlier in June, an investigation into the journeys of Scotland’s judiciary around the world revealed our overworked, over paid, stressed out and anti-transparency judges have been taking international trips to law conferences, and curiously titled “diplomatic missions” while the Scottish justice system lies in ruins. 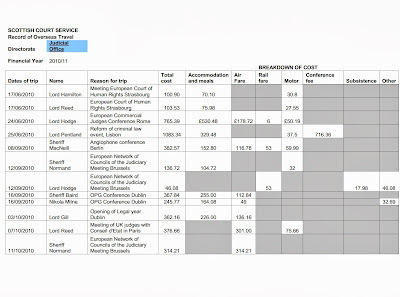 Responding to a Freedom of Information request, the Scottish Court Service confirmed that £83,644 had been spent on overseas trips alone by Scottish judges between 2010 and 2013. While judges usually travel alone, or take a colleague, on at least two occasions last year, judges took their wives along on the taxpayer funded trips. Further reports on the travels of Scottish judges in the media have also revealed the Lord President himself, Lord Gill, enjoys regular excursions to the far east including China and Taiwan. 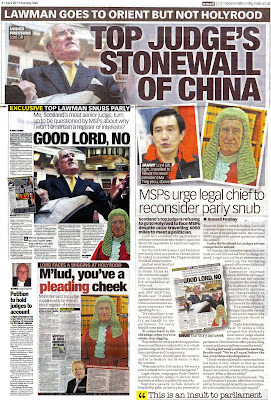 It was also revealed by the Sunday Mail newspaper that Lord Gill, who had been summoned to the Scottish Parliament to explain his hostility to Petition PE1458: Register of Interests for members of Scotland's judiciary, jetted off to a law conference in South Africa instead of attending the Scottish Parliament to answer questions from MSPs on the proposal to require Scottish judges to disclose their so-far secret and murky hidden interests in a published register of judicial interests. While our judges appear to prefer the jet set lifestyle to sitting for endless days on the bench, here in reality Scotland where access to justice is little more than an expensive joke for most, our expensive, almost lavishly funded courts are not working for the country, and have become aloof from the public’s need of justice in the 21st Century. Perhaps a few less air miles and a few more more ‘court miles’ coupled with a face to face meeting with transparency, may go some way to remedying the problems, delays, failures and lack of transparency & accountability of the Scottish justice system Lord Gill himself branded as “Victorian” and “unfit for purpose” in 2009, because here in the not so futuristic 2013, and a few million air miles later, the Scottish justice system remains just as “Victorian” and just as “unfit for purpose”, as it was five years ago, Mr Lord President. 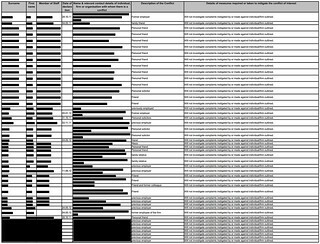 Bungled FOI release questions quashed convictions figures for Scottish judges. A ROW has broken out between the Judiciary of Scotland and the Scottish Court Service (SCS) over the release of information in response to a Freedom of Information request which sought data on appeals against conviction and sentence at High Court and Sheriff Court level. The data, which revealed numbers of quashed convictions against senior judges and a former Lord Advocate who also sat as a judge, has already forced apologies from the Chief Executive of the SCS to members of the judiciary and a partial retraction of the information provided via FOI legislation. However the SCS has since been ordered to review what information it did release, and publish a ‘correct’ version as soon as possible. The now much debated information provided by staff from the SCS claimed that in the past five years, former Lord Advocate & Court of Session Senator Lord Hardie, now retired and sitting as a peer in the House of Lords, allegedly had eight convictions and 20 sentences successfully appealed. More worryingly, the current number two in the Scottish Justice system, the Lord Justice Clerk Lord Carloway who supports the removal of a long held safeguard of corroboration from the Scottish criminal justice system, was revealed in the now allegedly defective information provided by the SCS as having seven convictions overturned against his judgements since 2008 and eight sentences successfully challenged. Another well known judge, Lord Brailsford, recently in the news relating to twitter threats made by a family member, was revealed in the SCS statistics to have had four convictions quashed and 15 sentences challenged in the last five years. Overall, the figures provided by the SCS showed that between 2008 and 2012, there were 301 successful appeals in High Court cases, including 86 overturned convictions. The figures for legal challenges in Scotland’s Sheriff Courts revealed there were 1,619 appeals granted with 130 convictions quashed, with Sheriff Lindsay Foulis, who sits at Perth Sheriff Court, having two convictions and 39 sentences successfully challenged while in another example, the now retired Sheriff John Herald, who presided at Rothesay Sheriff Court had four convictions overturned and 20 sentences appealed successfully. 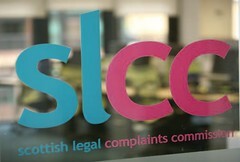 However, already up to their necks in controversy over secret financial dealings and undeclared interests in court case after court case, members of Scotland’s judiciary apparently blew several fuses over headlines in the media relating to the numbers of quashed convictions, demanding apologies & retractions over the information released by the Scottish Court Service. 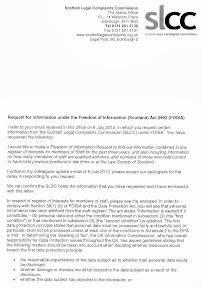 The apology was swift, but for the most part it’s detail appears to rely on the fact that some of the information provided by the SCS exceeded the “five year” term of the FOI request itself … which does not exactly lead to a convincing retraction of claims already published widely in the media. The Judiciary of Scotland were asked for comment, although none has been provided at time of publication. There is a solution of course – publish the statistical records of judges, their judgements, legal challenges and successful appeals on a live basis and the Scots public will be able to see for themselves exactly how our wealthy, well paid, & secretive judges are actually performing in our clogged up “Victorian” Scottish courts system. Since the data was originally released a number of serious discrepancies have been identified. Additionally, the SCS did not provide important contextual information as to the date of the original court decision in many cases the court decision which was subject to appeal was made more than five years ago. Judges with links to original trial failed to declare their interests. THE complicated mixture of Judicial oaths & rules which govern the current requirements of Scotland’s judges to declare any interests in court has this week been proved to be a catastrophic failure by evidence which depicts cosy clubs, prosecutors turned judges, & undisclosed family relationships between members of the judiciary in Scotland’s top courts. Legal insiders say the evidence provided to MSPs on the Scottish Parliament’s Petitions Committee may well be the tip of the iceberg with regard to judges failing to properly declare their interests when faced with cases in which their personal and professional interests collide. Glasgow man William Beck, who many inside & outside the justice system are satisfied was wrongfully convicted for an armed robbery over thirty one years ago, made the submission to the Scottish Parliament Petitions Committee concerning the failure of judges to recuse themselves in his appeal against his conviction. 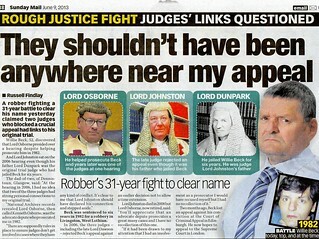 The evidence provided by Mr William Beck in response to Petition PE1458: Register of Interests for members of Scotland's judiciary reveals how one judge, Lord Johnston, failed to declare any interest or recuse himself from an appeal by Mr Beck against a wrongful conviction & sentence handed down by Lord Dunpark who was Lord Johnston’s father. Mr Beck’s submission to MSPs also reveals that years later, Lord Osborne, who sat with two other judges and rejected another appeal by Mr Beck against his wrongful conviction, failed to disclose that he was the prosecutor in the original trial of Mr Beck. When Lord Osborne was recently asked by journalists why he did not recuse himself or reveal his role in the original case against Mr Beck, Lord Osborne, now retired, claimed he had “no recollection”. The retired judge went on to admit he should have recused himself. Mr Beck has been fighting to clear his name ever since his wrongful conviction, and the terns of his submission and evidence provided appear to make it clear to all that even the most senior judges, prosecutors and others in the legal system have been long aware of conflicting interests of members of the judiciary which have not been properly declared. I would like the following to be presented to the Public petitions Committee hearing the petition PE1458 : At an appeal hearing in 2006: appeal hearing in 2006 Two judges ought to have recused themselves or at the very least declared an interest in my case. Lord Johnston was the son of my trial judge which he did not declare. Lord Osborne had acted as an Advocate Depute in my appeal on 7th October 1982 and did not declare this. Both ought to have known from the court papers, namely the Charge to the jury and Interlocutor of 7th October 1982 which would have been before the court. The charge discloses the name of the trial judge and in this instance was Lord Dunpark the Father of Lord Johnston. I only found out that Lord Dunpark was the Father of Lord Johnston when I read the obituary for Lord Johnston when he died. Had I known of any of these connections I would have asked them both to recuse themselves. The interlocutor is attached above and I can produce the charge to jury should it be required. Lord Osborne is quoted as saying had he known about this link he would have recused himself. I cannot accept this position as it clearly states in the 2006 appeal linked above my appeal was rejected on 7th October 1982. Lord Johnston made a comment (Which will be recorded) that Lord Dunpark certainly had a way with his quirky comments knowing full well he was referring to his Father. It is my belief that the reactions from the court after this comment that everyone(Apart from me) in that court that day knew of these connections including the Advocate Depute. Like I have said had I known of these connections I would have asked these judges to recuse themselves but the judges also had a duty enshrined within the Bangalore Principles to recuse themselves which they also ought to have done. The fact they did not recuse themselves leaves me feeling I can never get a fair hearing in Scotland. To add insult to injury I tried to raise this matter at a Nobile Officium Appeal for the court presided over by the Lord President to ignore it completely. How can they ignore it completely I hear everyone ask. Simply because they can. My defence team produced the interlocutor from 1982 showing Lord Osborne had prosecuted me yet this is not reflected in the opinion which states I did not raise any issue apart from being refused Legal Aid in 1982. This should be recorded and I would urge the committee to ask the High Court to answer this allegation and provide the tape recording and transcript of the Nobile Officium Appeal. So not only do I have two judges sitting on my appeal who ought to have recused themselves but when I tried to raise this issue it was ignored by our courts at its highest level. My MSP Bill Kidd raised this issue with the Lord President (And many others within the Judiciary) asking him the meaning of the Latin Phrase “Nemo Iudex In Causa Sua as well as raising it with Kenny MacAskill to no avail, and now after a Sunday Mail expose Lord Osborne is saying he would have recused himself if he had known. I tried raising this as a devolution issue (At Nobile Officium) referring to Hoekstra and Pinochet only for the court to tell the Crown not to appear in a deliberate attempt to stop me raising a devolution issue. This is clearly pointed out by the court of appeal at Nobile Officium paragraph 1 where the court say this: The Lord Advocate is not, so far, a party to these proceedings and has not been invited to address the court on the issue of competency or on any other issue. This makes the position of the court clear: They did Not Invite The Crown To Appear. I would suggest this was a deliberate attempt to deny me not only the act of raising a devolution issue but also a fair hearing enshrined within article 6 of the European Convention of Human Rights. I should point out that every case in Scotland are indeed indicted at the instance of Her Majesty’s Advocate and this is a duty that applies throughout the history of any case including appeals. Never in the history of Scots Law have Crown Failed to appear at an appeal. This proves that not only did two judges sit on my appeal when they ought not to have done so but there have been a concerted attempt from the Judiciary to cover this up since. In their attempts to stop me raising a devolution issue they have created a bigger one. This also shows how cosy the relationship is Between our Courts and Crown Office. I would welcome the opportunity to give evidence to the committee at any evidence gathering session, unlike Lord Gill. A robber fighting a 31year battle to clear his name yesterday claimed two judges who blocked a crucial appeal had links to his original trial. Willie Beck, 52, discovered that Lord Osborne presided over his appeal hearing despite helping prosecute him in 1982. And Lord Johnston sat on the 2006 hearing even though his father Lord Dunpark was the original trial judge who had jailed Beck for six years. The dad-of-two, of Dennistoun, Glasgow, said: “At the hearing in 2006, I had no idea that two of the three judges had strong personal connections to my original trial. “National Archives records revealed Lord Osborne, then called Kenneth Osborne, was the advocate depute who prosecuted me in 1982. Beck was sentenced to six years in 1982 for a robbery in Livingston, West Lothian. In 2006, the three judges including the late Lord Dawson rejected Beck’s appeal against an earlier decision not to allow a time extension. Lord Johnston died in 2008 but Lord Osborne, now retired, said: “You’ll appreciate that an advocate depute prosecutes a great many cases and I have no recollection of this one. Two months ago, Beck lost an appeal against his conviction at the Court of Criminal Appeal in Edinburgh. He now hopes to appeal to the Supreme Court in London.